A few of this past Christmas gifts. Is the pattern for these scarves a free pattern to download? I would really love to be able to make these patterns! Sorry! Off line for a while. You can find this pattern in “The Crochet Bible” by Sue Whiting. I made the following changes. Used a #3 yarn to get desired texture and width of pattern so I recommend to check you gauge. 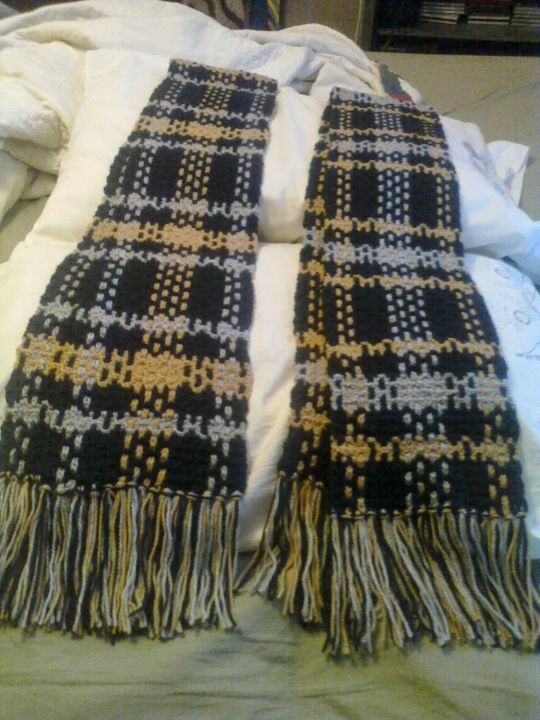 I also made the Women’s scarf in 9 motifs and Man’s scarf in 7 motifs. Please post and let me see what you come up with.